I look forward to winter arriving because it means I’m done mowing the yard for 5-7 months. So you can imagine how excited I was when I was mowing my yard for the final time of the season. I could see the end in sight. I was beginning to think about what I would do with my extra 2 hours of time every weekend. 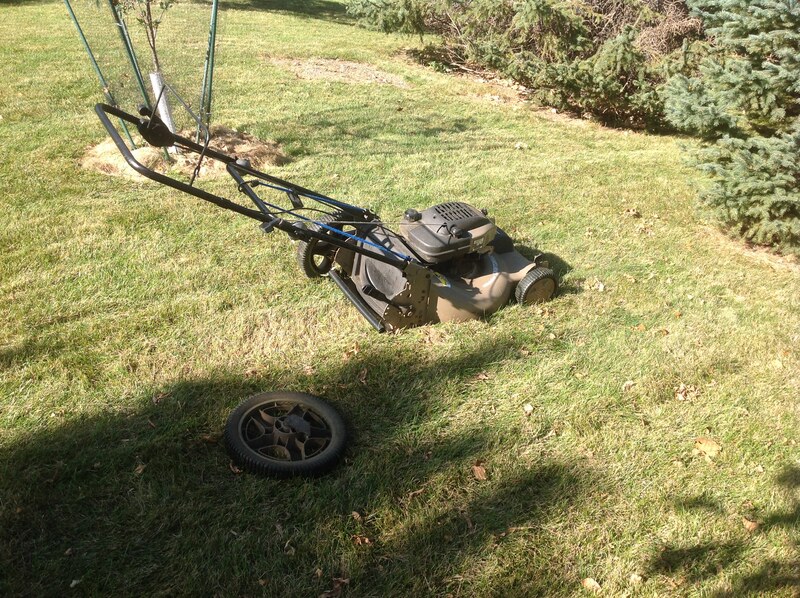 Ummm, why is my mower not moving? Why is it dragging on the ground? HEY! Where did my wheel go? With 30 minutes left of mowing for the season, my wheel fell off. And I don’t simply mean it fell of. It snapped. And it wasn’t a cheap piece of plastic. A good sized piece of metal snapped (I guess I’m just too strong).